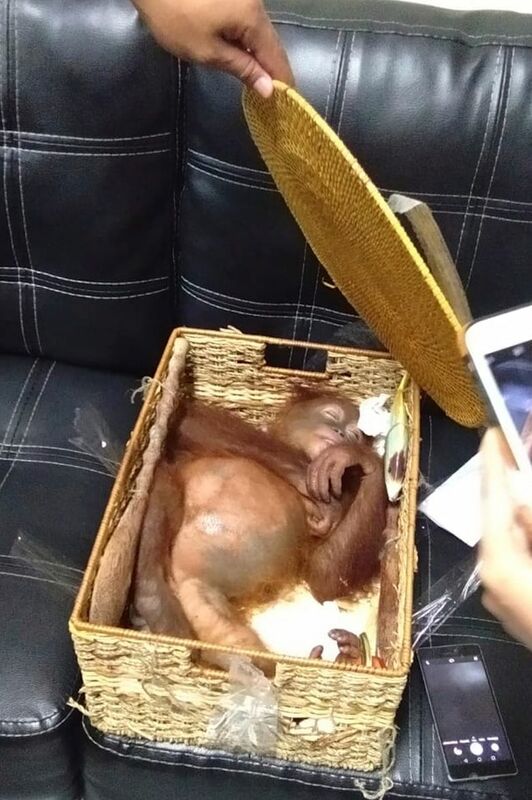 Andrei Zhestkov, 27, was arrested late Friday at Bali’s international airport after customs officers found a 2-year-old male orangutan sleeping in a rattan basket placed in his luggage, said Ketut Catur Marbawa, an official with Bali’s conservation agency. 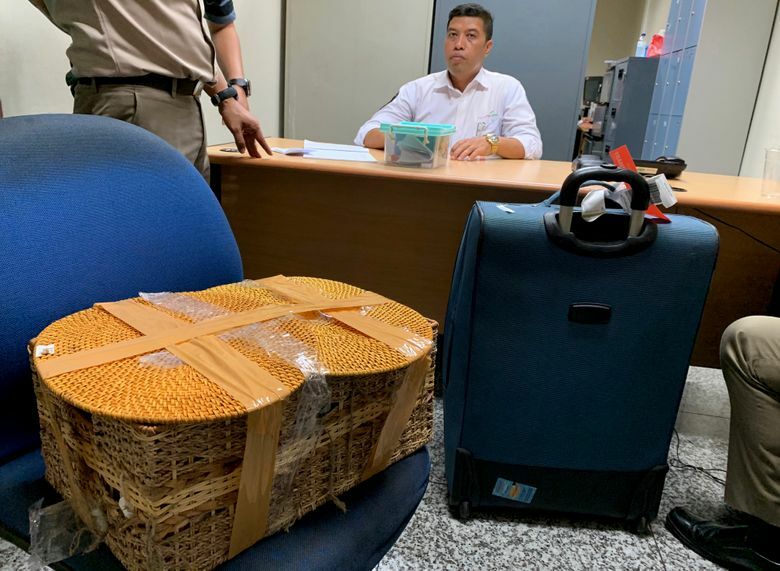 Marbawa, whose agency is part of the environment and forestry ministry, said customs officers also found allergy pills wrapped in plastic, two geckos and five lizards in Zhestkov’s suitcase. All the animals were alive. He said Zhestkov also told officials he bought the orangutan for $3,000 from a market on Indonesia’s main island of Java after being told by a friend that he could bring it home as a pet. A 2018 comprehensive study of Borneo’s orangutans estimates their numbers have plummeted by more than 100,000 since 1999, as the palm oil and paper industries shrink their habitat and fatal conflicts with people increase.